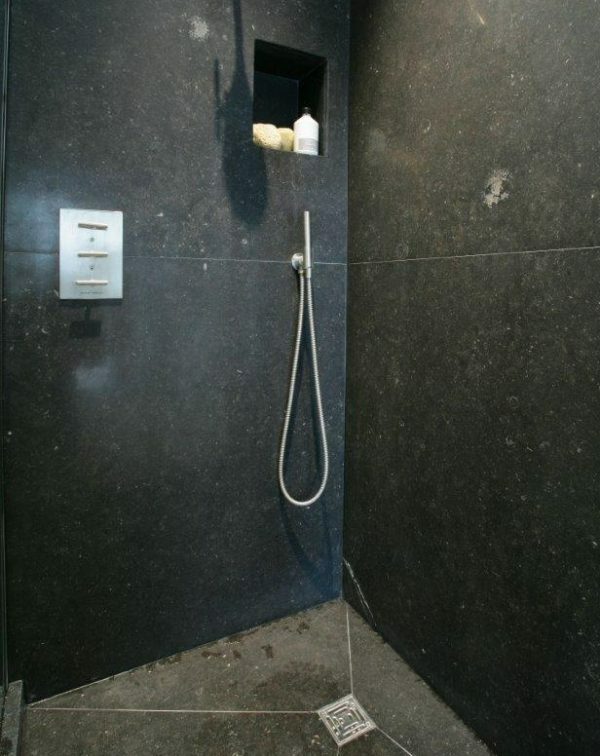 Our standard bespoke stones are available to purchase as extra-large slabs, which can then be cut to specific sizes for tiles, vanity tops, stair treads and other bespoke items. Please note that you must buy the entire slab and this may involve wastage if your bespoke item does not use all of the stone. For standard size tiles, see the Stock Stone Tiles & Flagstones section. If you require stone in thicker blocks for 3D carved items, please contact us. This very hard Belgian stone has a blue-black hue with plenty of almost white fossils that give a really opulent feel.